Sean reaches the last 16 at only 11 years old. Sean wins this event at 11 years old. Sean wins the competition 5 times. 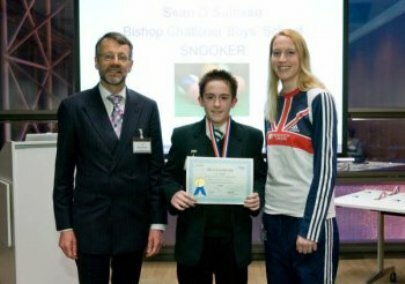 2008 Sean wins another Upton Park Handicap competition. 2008 Sean is asked to join the same stable as Neil Robertson & Ronnie O'Sullivan. 2008 Sean makes his International Debut for Englands under 14 squad. Sean wins all of his singles matches. The team are runner up to England A in this competition.